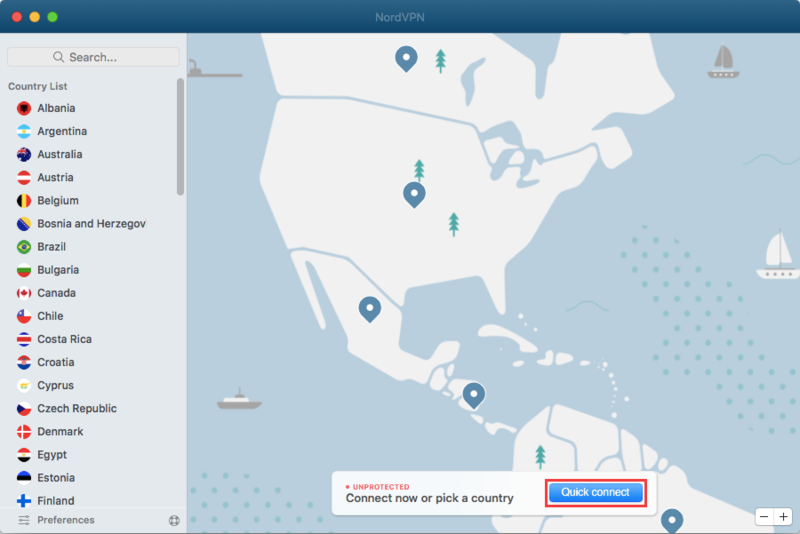 The first step towards your protection online is setting up the NordVPN application correctly. 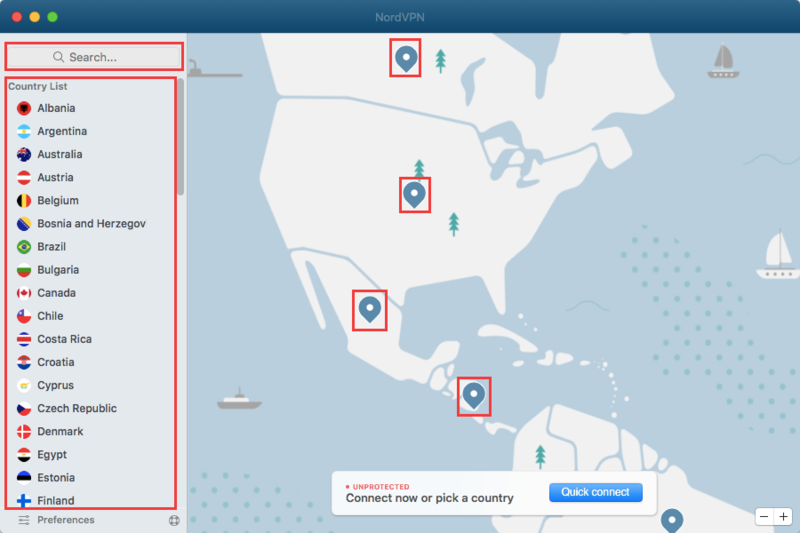 Following the easy steps listed below, you will set up the NordVPN app and connect to a VPN server. 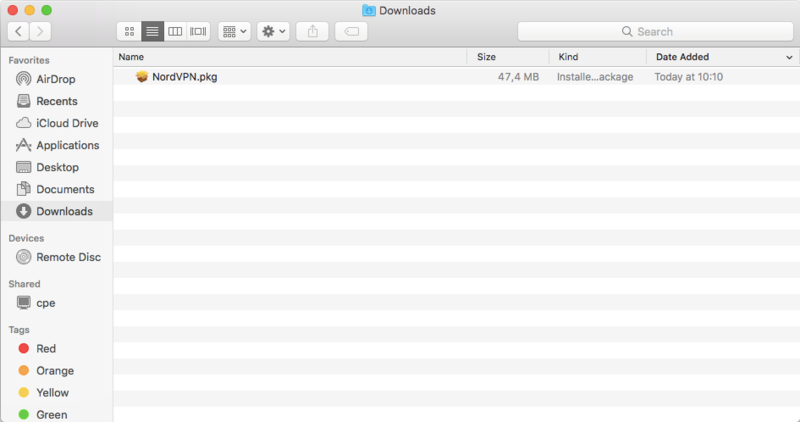 Go to your Downloads folder and double-click the NordVPN.pkg file you have downloaded. A new Install window will pop up. 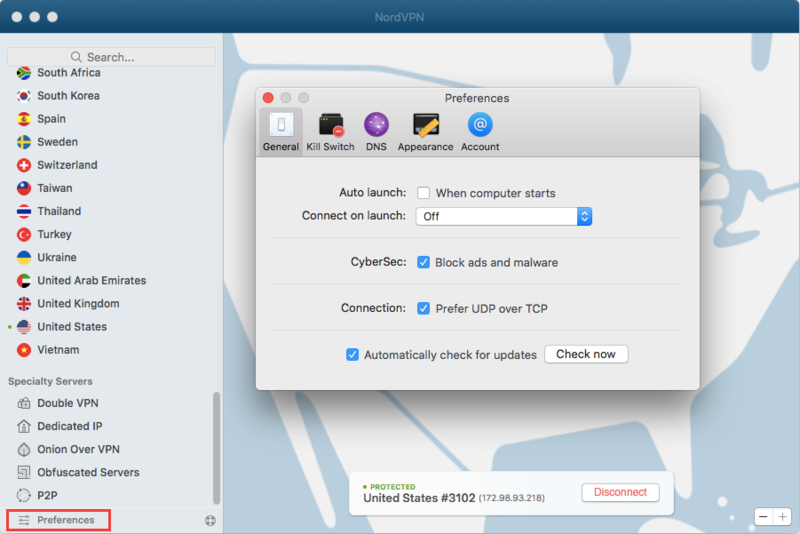 You will be guided through the steps necessary to install the NordVPN. Open your Launchpad and look for the NordVPN icon. Click on it to launch the app. 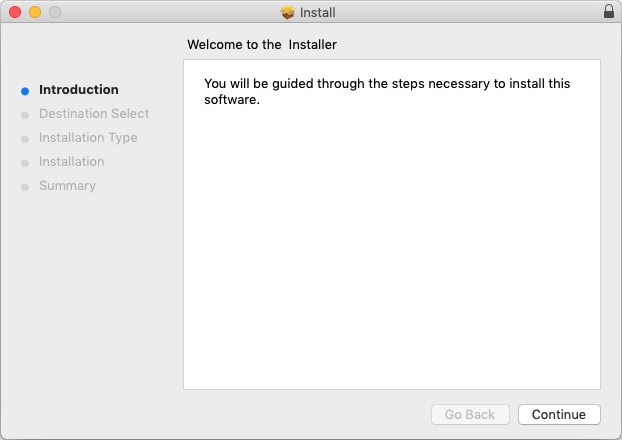 A window will appear asking for permission to install Helper. 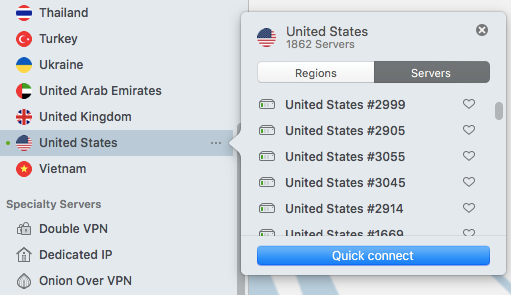 Helper allows the NordVPN app to create a VPN tunnel. Enter your Mac's password and press OK.
You will see a pop-up of our Terms of Service. Click on Agree & Continue if you agree to our Terms of Service. Click on the Log In or Sign Up button at the bottom of the app window. 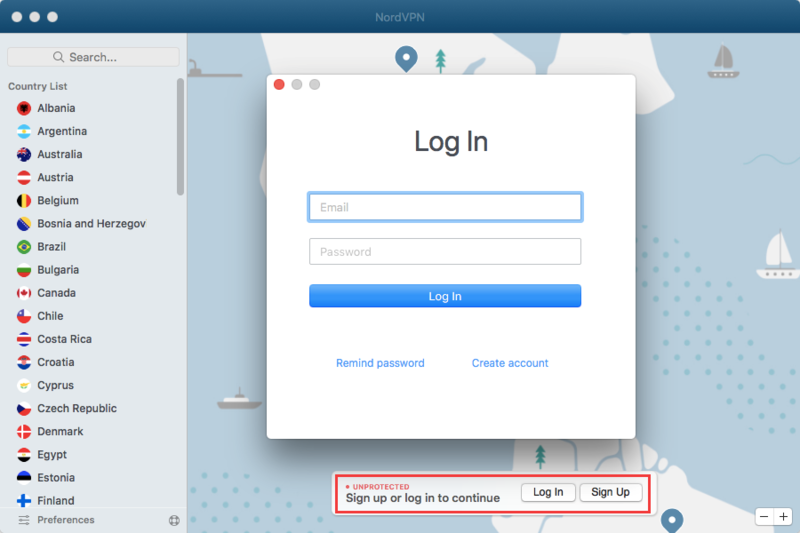 Enter your NordVPN account credentials - email address and password. Press Log In. Click on the Quick Connect button, which will automatically connect you to the server recommended for you. Using a complex formula with various server parameters, the smart Quick Connect algorithm chooses the best option for you at any given moment. On the main app screen, you can see the country list and the map. On the left sidebar, you can navigate through servers and access server search on the upper-left corner. 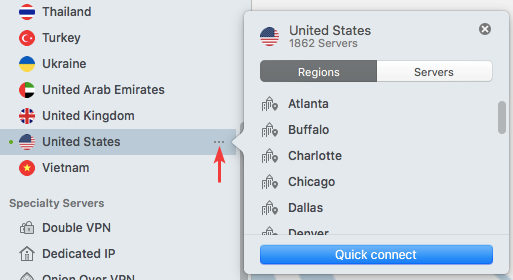 You can also connect to a server in a specific country by clicking on its pin on the map. Once connected, the country pin on the map lights up in green. The Quick Connect status label says that you are connected and shows your new IP address. If you want to connect to a specific server, click on the Search... field at the top left corner of the app. 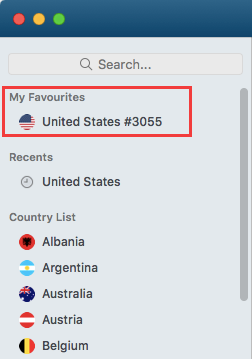 In the search field, enter a country, a category, or a specific server number (e.g., US 3018) to find what you need. On the left sidebar, you can find every server that we offer, organized into countries and specialty servers. 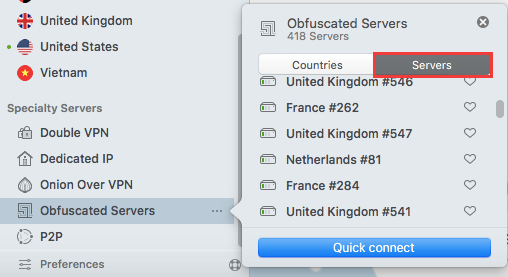 For example, you can select Specialty servers, expand the Obfuscated servers category by clicking on the three-dots menu, and select an obfuscated server in a specific country. To connect to a specific server, click on it. 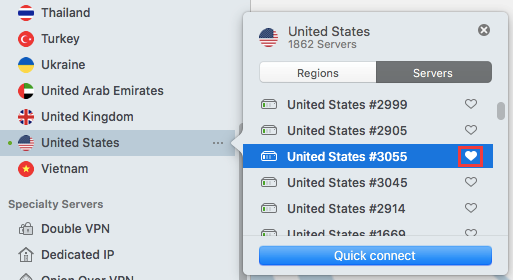 Using the three-dots menu, you can also connect to a specific region or server in a country. Your favorite servers will appear in their own category, called My Favourites. You can connect to them like any other server. Click on Preferences in the bottom-left corner of the app window to access the app preferences. Here, you can enable or disable extra features, such as Connect on launch, Custom DNS, CyberSec, or Kill Switch. 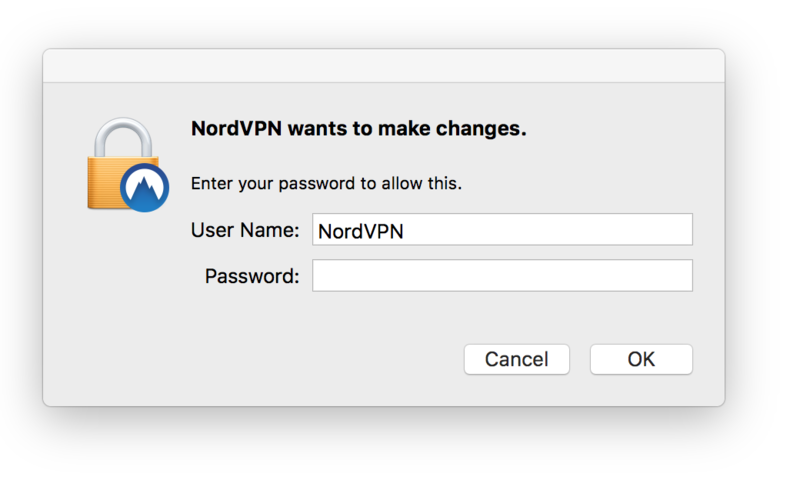 Auto launch - Enable this to start NordVPN when you start your computer. Connect on launch - Enable this to connect to a server automatically when the application starts. 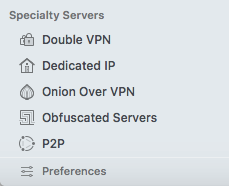 CyberSec - Enable this setting to use our CyberSec feature while connected to the VPN. It will protect you from intrusive ads, malware sites, phishing links, and other threats. Connection - Enable this to prefer UDP over TCP. UDP is mainly used for online streaming and downloading. TCP is more reliable but a little slower than UDP and usually used for web browsing. Kill switch - Enable this to terminate any applications you specify in the case of an unintended disconnection. 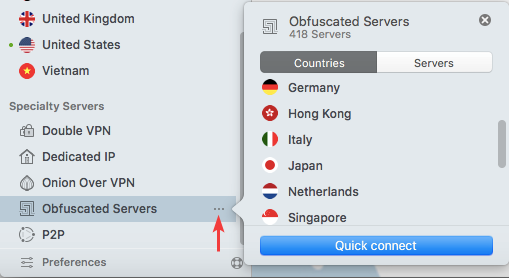 For example, you are on a public network and using NordVPN to protect your confidential Skype conversation. You can add Skype to the Kill Switch list. If your WiFi network is unstable, the connection may drop unexpectedly. In such a case, Mac will reconnect to WiFi, but the VPN connection will not resume yet. The Kill Switch will close down Skype before it can transmit any of your sensitive info on the public network, thus ensuring your privacy. 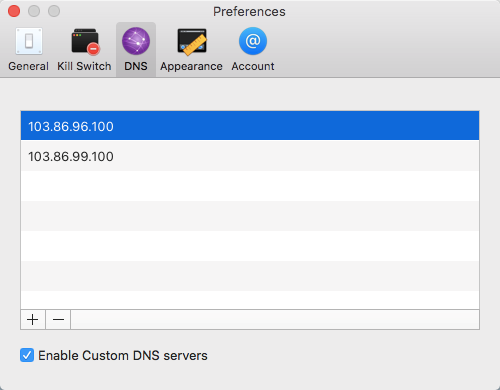 Custom DNS - Set DNS servers of your choice for the NordVPN app to use. 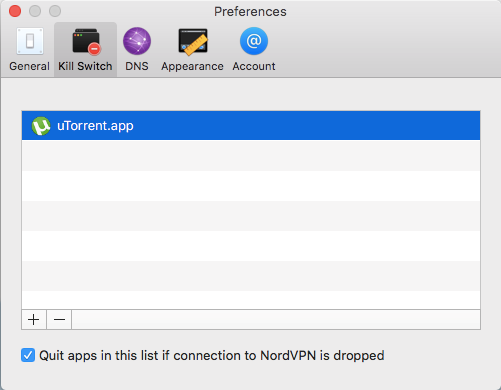 Appearance - Set where you want the NordVPN app icon to be displayed.